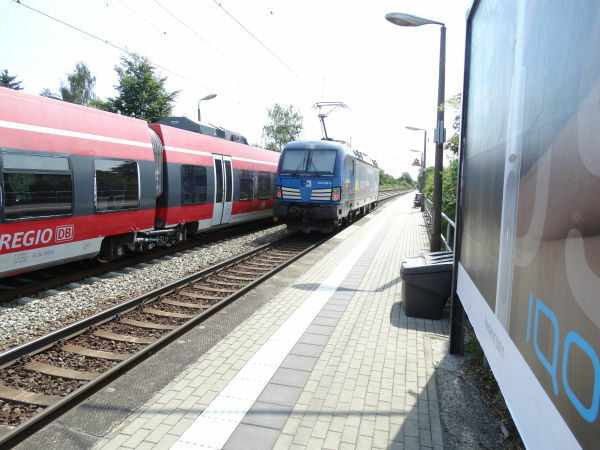 Czech state railways Ceské dráhy EuroCity train from Praha led by a DB Br 101 electric locomotive is stopping at Hamburg Altona station. 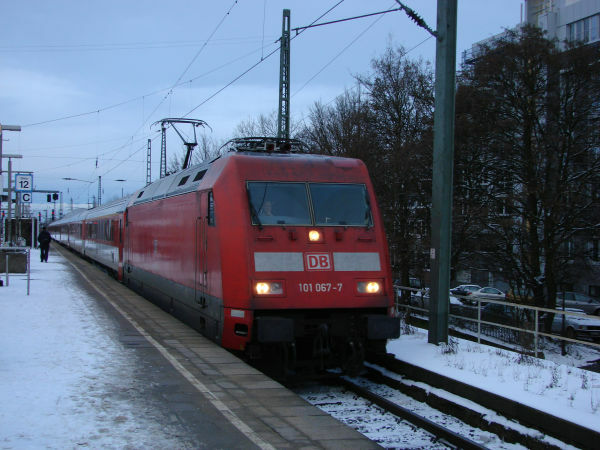 Picture at Hamburg Altona 31.12.2009 by Ilkka Siissalo. 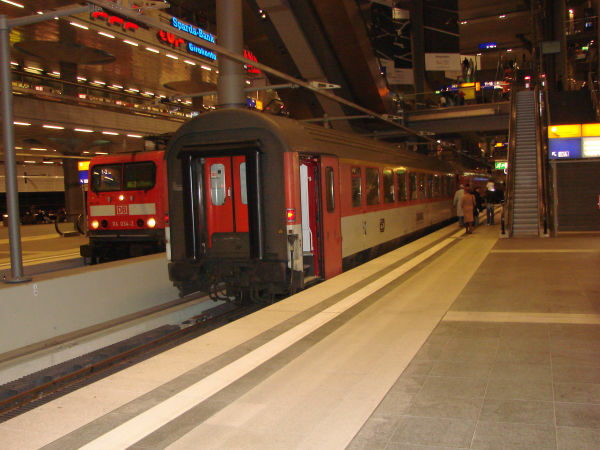 A ČD EuroCity train from Praha has just stopped at Berlin Hauptbahnhof. On the track behind it a DB class 114 locomotive leading a regional express train. Picture 11.11.2006 by Ilkka Siissalo. A brand new Siemens Vectron of the České dráhy Cargo class 383 is passing at high speed the small train stop of Dresden-Stetzsch. Picture 16.7.2018 by Ilkka Siissalo.